A new Campaign for Voluntary Sector Archives launched at the House of Lords on Monday 15th October. The Campaign has grown out of concern for the neglect of archives and records across the voluntary sector. 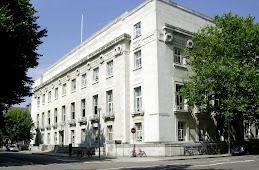 Unlike public records produced by government which will end up in the National Archives at Kew, there is little legal protection for charity archives. Yet it will not be possible to write the history of modern Britain without using the records of voluntary organisations. Archives are also important as part of the charity sector's wider public benefit responsibility. Such archives contain what may be otherwise unrecorded histories of people and communities. There can be little change without the support of the Trusts and Foundations which help fund the sector’s work. Three funding bodies that share a commitment to voluntary sector archives and history will present at the launch - The Diana, Princess of Wales Memorial Fund, the Barrow Cadbury Trust and the Heritage Lottery Fund. The Campaign hopes to encourage all charities, voluntary organisations, trusts and foundations to take responsibility for their archives by providing for their management, preservation, use and promotion. The Campaign is led by a steering group of researchers, custodians, creators of records and others which meets quarterly at the British Library. Please visit www.voluntarysectorarchives.org.uk for more information, case studies and bespoke guidance on archives for the voluntary sector.